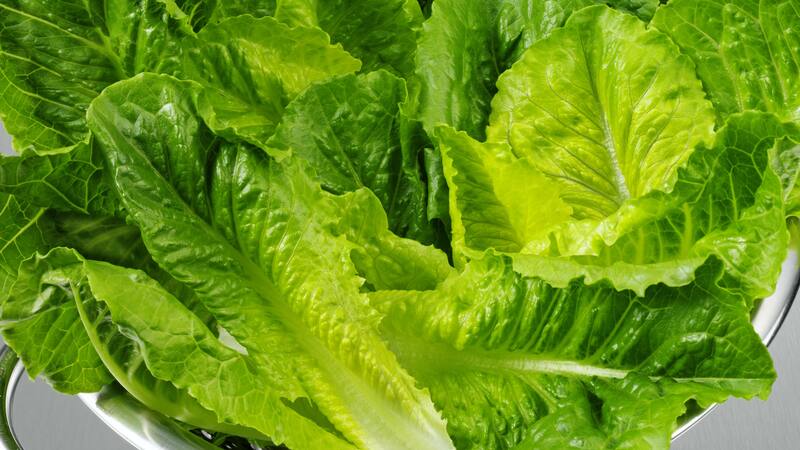 The Centers for Disease Control and Prevention (CDC) has issued a food safety alert involving romaine lettuce and the foodborne illness E. coli. The CDC statement says: "U.S. consumers should not eat any romaine lettuce, and retailers and restaurants not serve or sell any, until we learn more about the outbreak. This investigation is ongoing and the advice will be updated as more information is available." Dr. Nipunie Rajapakse, a pediatric infectious diseases specialist at Mayo Clinic, says there are many strains of E. coli bacteria that may cause serious illness for those infected. "E. coli stands for Escherichia coli, which is a type of bacteria that can cause food or waterborne illness in people," says Dr. Rajapakse. "It's a relatively common cause of illness. There’s a type of E. coli that people may have heard of called O157:H7. It's a specific type of E. coli that can cause bloody diarrhea and has been associated with a condition that can cause kidney damage, especially in young children." This form of kidney failure, which can be life-threatening, is called "hemolytic uremic syndrome." Watch: Dr. Nipunie Rajapakse explains E. coli infection. E. coli also can be found in the environment, and in the intestines of humans and animals, so contamination of food can occur in multiple ways. "Certain foods are at a higher risk for transmitting E. coli infection," says Dr. Rajapakse. "Most commonly, we hear about it in raw or undercooked hamburger meat. However, any type of food that comes into contact with raw or undercooked meat may lead to cross-contamination. Salads, fruits and vegetables can transmit, as well, and we do occasionally see outbreaks related to those types of products." Other foods carrying a high risk of E. coli infection include unpasteurized milk, unpasteurized apple cider and soft cheeses made from raw milk. "E. coli generally causes relatively mild illness in otherwise healthy people. But in certain populations, E. coli can cause severe illness, especially in people who have weakened immune systems, people who have underlying digestive system problems, young children, the elderly, and pregnant women," says Dr. Rajapakse. Antibiotics generally should not be used for treatment. In some cases, antibiotics may increase the risk of developing hemolytic uremic syndrome. Most people are better in about one week. Wash your hands thoroughly after using the bathroom or changing diapers and before preparing or eating food. Also, wash your hands thoroughly after contact with animals. Cook meats thoroughly. Ground beef and meat that has been needle-tenderized should be cooked to a temperature of at least 160 degrees Fahrenheit. Avoid raw milk, unpasteurized dairy products and unpasteurized juices. Avoid swallowing water when swimming or playing in lakes, ponds, streams and swimming pools. Prevent cross-contamination in food preparation areas by thoroughly washing hands, counters, cutting boards and utensils after they touch raw meat.